Meet Alberto Hidalgo-Bravo of the National Institute of Rehabilitation in Mexico City, Mexico. Presently a junior principal investigator in the Department of Genetics and Genomic Medicine, Alberto will be leading his own research group next year. To help him prep for his new position, Alberto is on campus training at the High-Throughput Biology: From Sequence to Networks course and he already has plans to return for the 84th CSHL Symposium: RNA Control & Regulation. My main research area is cancer biology, with a focus on RNA. We are interested in finding transcripts that could be used as biomarkers and looking for new and specific therapeutic targets. Cancer cells are complicated. They break a few biological rules in order to survive. We have to understand the underlying mechanism to be able to design new strategies for prevention and treatment. A high school teacher inspired my interest for genetics. She taught us the principles of genetics and molecular biology, and I became curious about how a gene knows what to do. That moment was when I decided that I wanted to understand what was behind the control of genes. Was there something specific about the High-Throughput Biology: From Sequence to Networks course that drew you to apply? Nowadays, everybody recognizes the importance of the “omics” technologies. They have changed the way of doing research. I realize that I had to get involved in this new era and this CSHL course represents an ideal scenario for learning the principles of these techniques. Given the nature of my research, tools related to RNA analysis and interaction pathways are the most useful for me. This knowledge will help us to have a better understanding of the molecular mechanism underling biology of cancer. The course imparted information about resources that I previously did not know. As a researcher trained in a molecular biology environment, this new information complements my knowledge and empowers me to generate new hypothesis to decipher the missing pieces of my research. I would definitely recommend this course. It covers a lot of subject material and the instructors are very capable. This is a great experience. In addition to the scientific part, I had the chance to enjoy the beautiful campus. But the best thing of this experience is the opportunity to meet and know other people who share a common interest. I am sure that some of my course mates will become a collaborator or, even better, a friend. These parts of attending to the course was a great benefit for me. Alberto received a scholarship from the Howard Hughes Medical Institute (HHMI) to cover a portion of his course tuition. 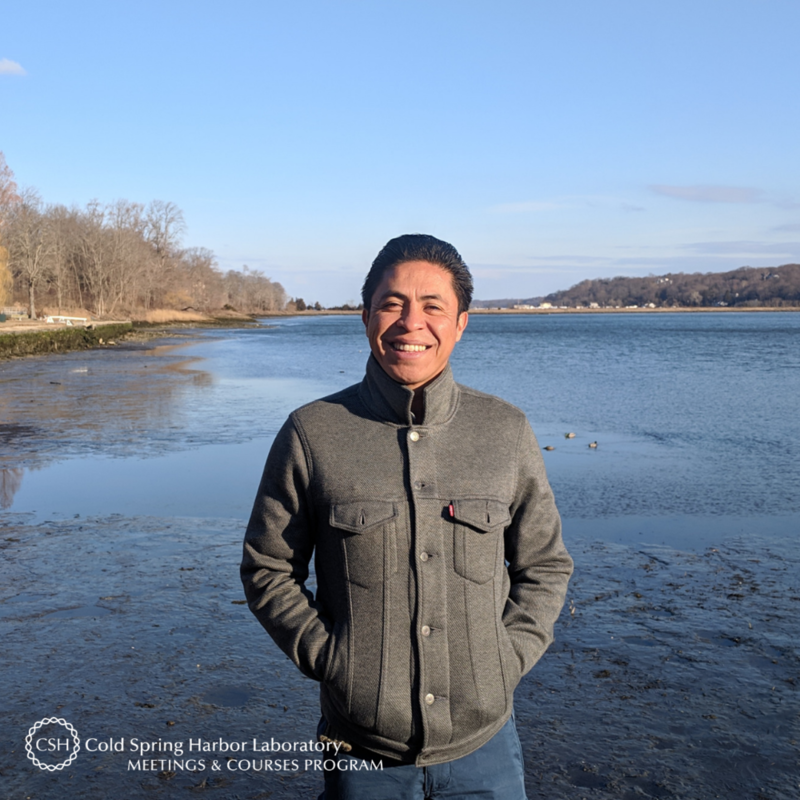 On behalf of Alberto, thank you to HHMI for supporting and enabling our young scientists to attend a CSHL course where they expand their skills, knowledge, and network. Thank you to Alberto for being this course’s featured visitor. To meet other featured scientists - and discover the wide range of science that takes part in a CSHL meeting or course - go here.